Commodore Amiga Game: UMS II Nations at War by Rainbird rwap_software 29 days, 14h:59m:35s	 None	 £12.00 Buy now! 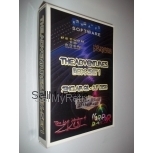 Trojan Light Phaser & Action Pack Software for Commodore 64 rwap_software 20 days, 21h:21m:26s	 None	 £15.00 Buy now! Commodore C64 Game: Gemini Wing rwap_software 8 days, 12h:42m:43s	 None	 £0.99 Bid Now! United Kingdom 7 days, 21h:06m:48s	 £2.99 Bid Now! United Kingdom 7 days, 21h:12m:54s	 £2.99 Bid Now! United Kingdom 7 days, 21h:20m:01s	 £0.99 Bid Now! United Kingdom 7 days, 21h:24m:03s	 £0.99 Bid Now! United Kingdom 8 days, 13h:12m:13s	 £0.99 Bid Now! United Kingdom 8 days, 12h:44m:44s	 £0.99 Bid Now! United Kingdom 8 days, 13h:12m:13s	 £1.99 Bid Now! United Kingdom 8 days, 12h:54m:50s	 £0.99 Bid Now! United Kingdom 0 days, 10h:18m:03s	 £1.99 Bid Now! United Kingdom 8 days, 12h:46m:47s	 £2.99 Bid Now! United Kingdom 8 days, 12h:42m:43s	 £2.99 Bid Now! United Kingdom 8 days, 13h:12m:13s	 £2.99 Bid Now! United Kingdom 8 days, 12h:55m:51s	 £0.99 Bid Now! United Kingdom 8 days, 12h:45m:46s	 £0.99 Bid Now!